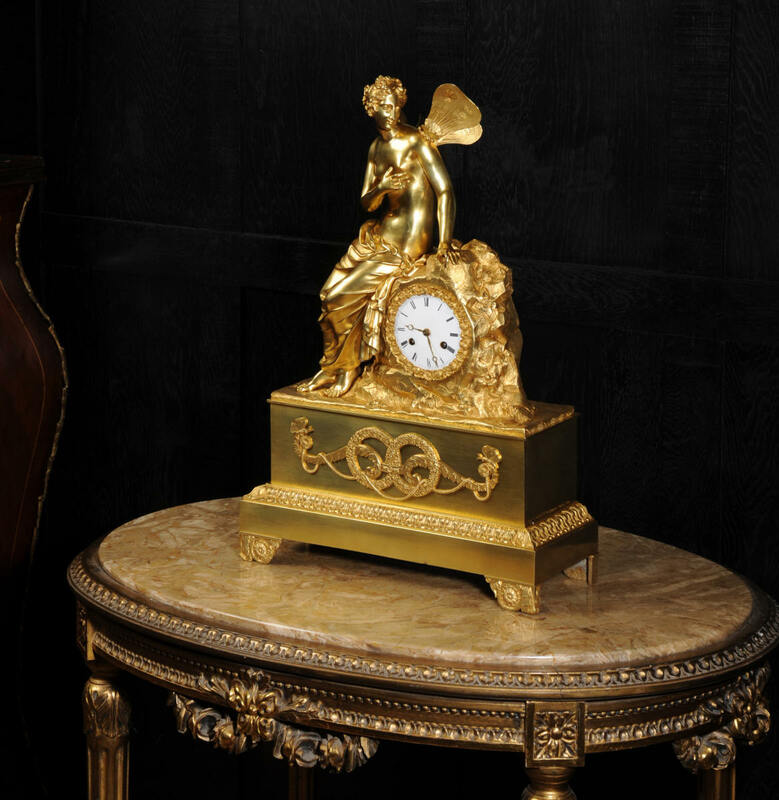 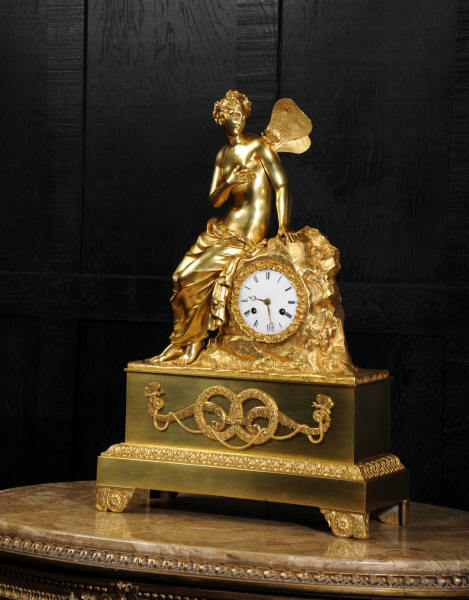 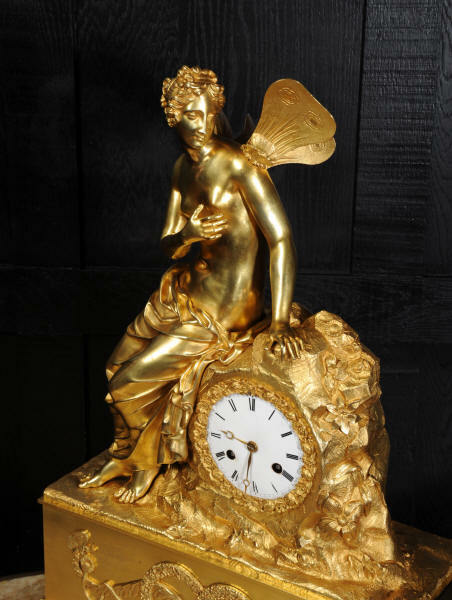 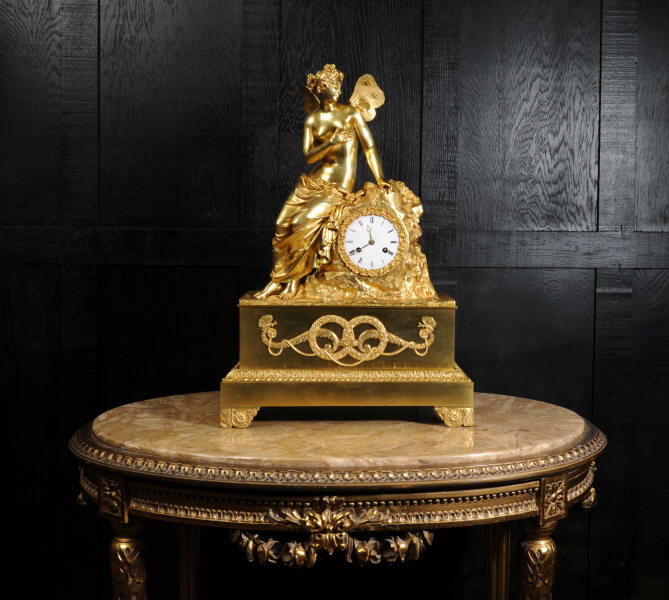 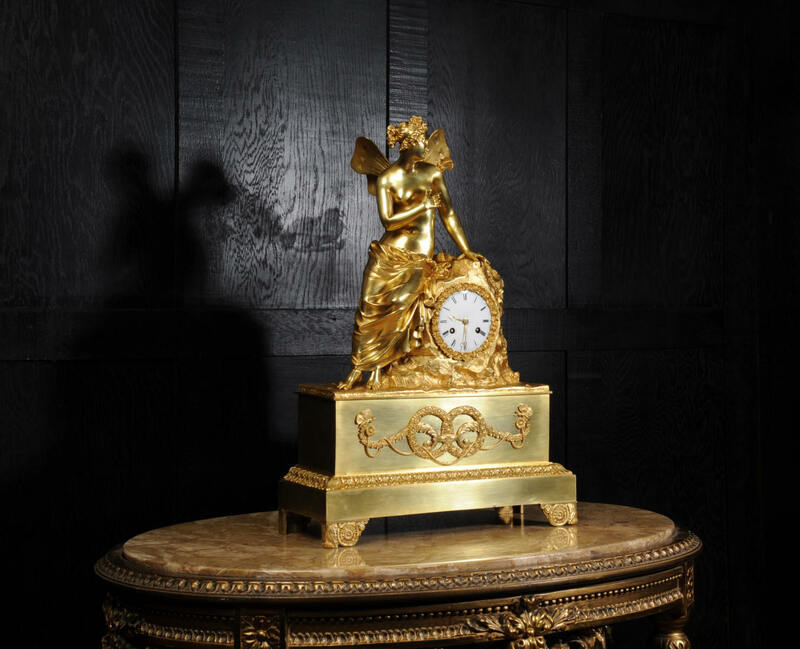 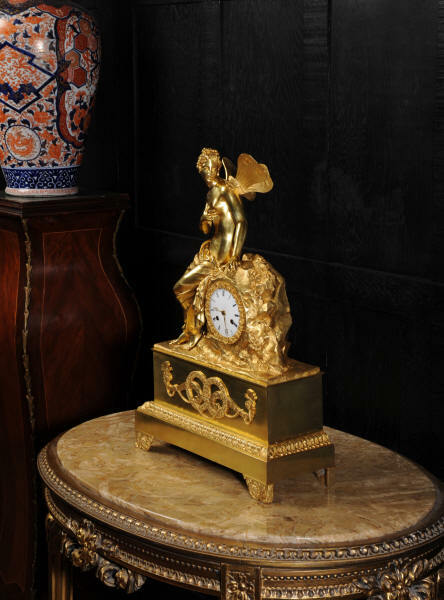 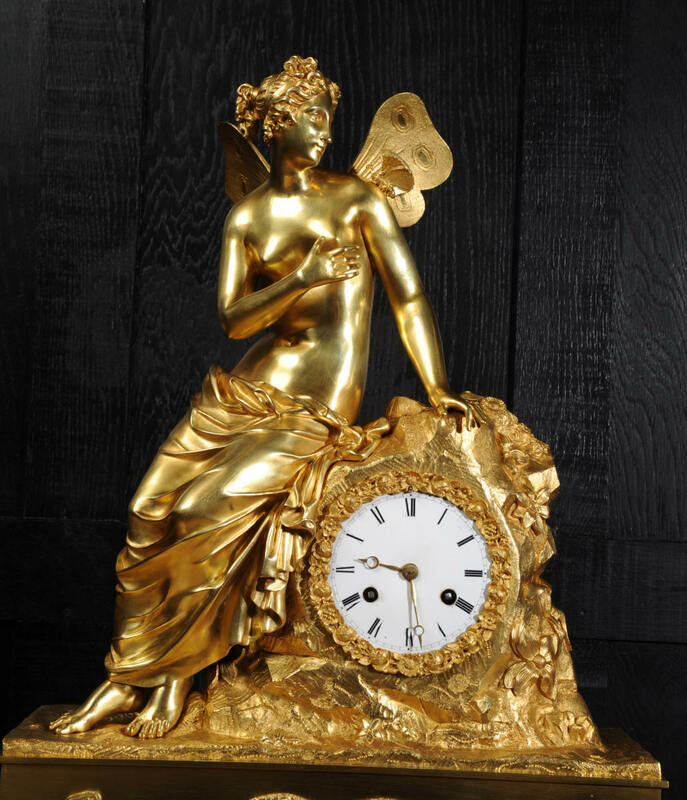 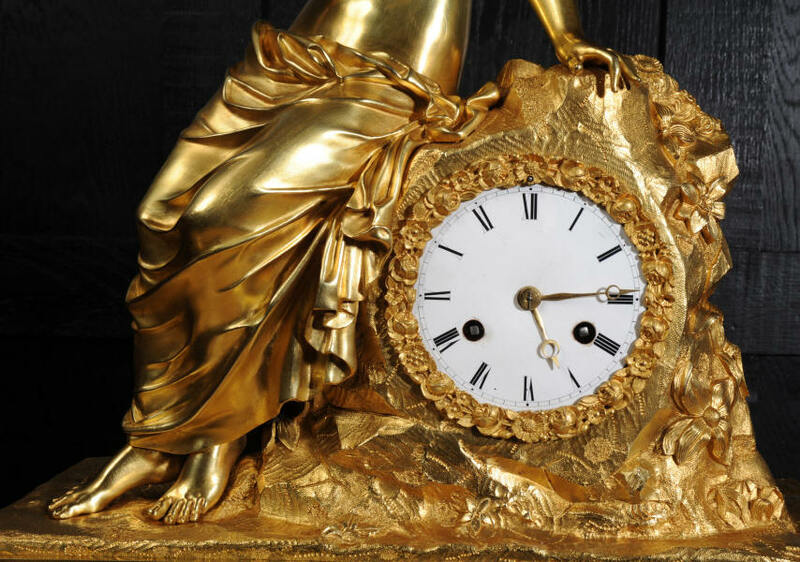 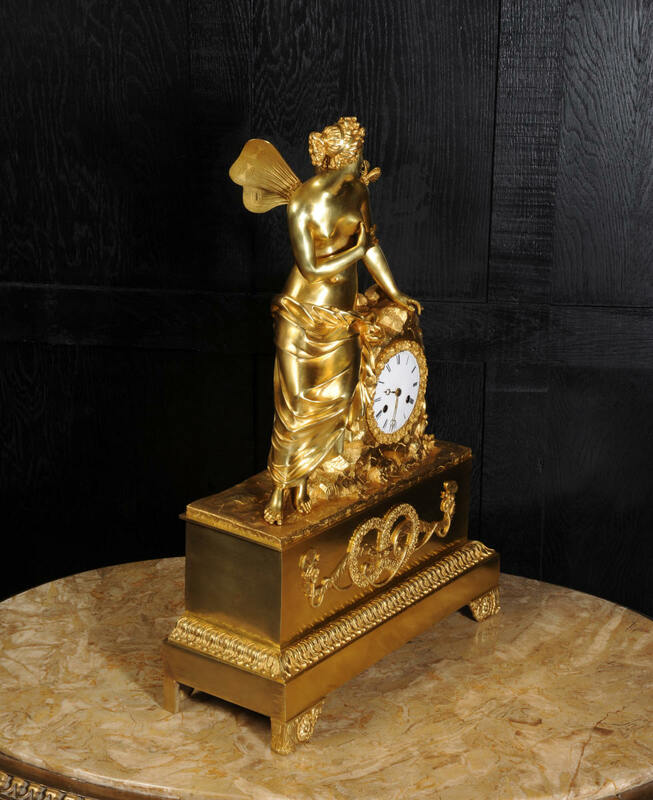 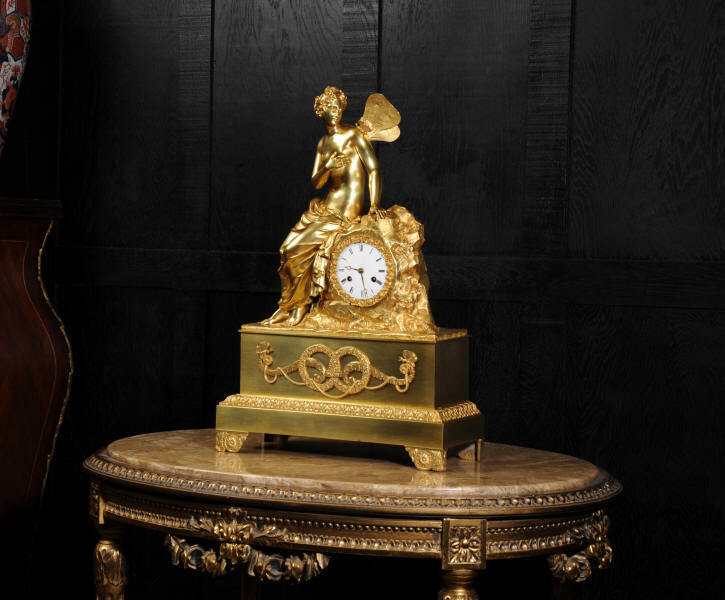 A fine and early French empire ormolu (mercury fire gilded or bronze doré) clock. 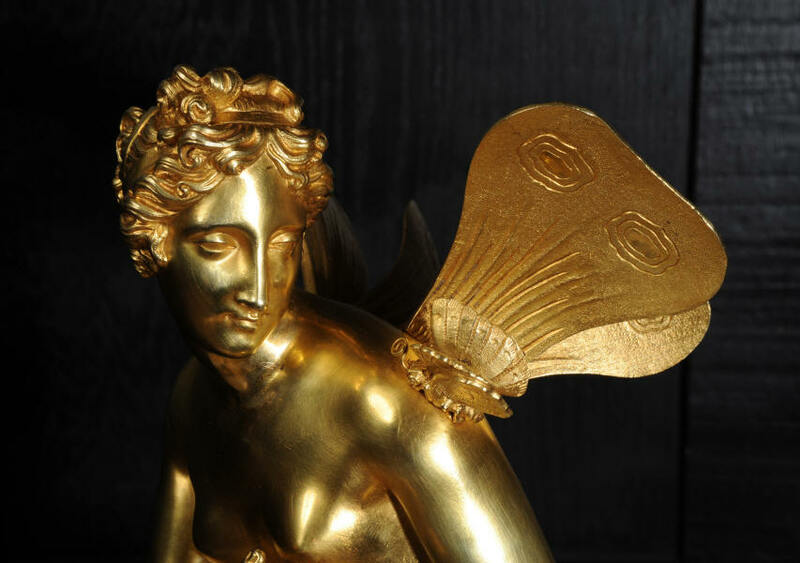 The original gilding is in exquisite condition with a lovely golden glow. 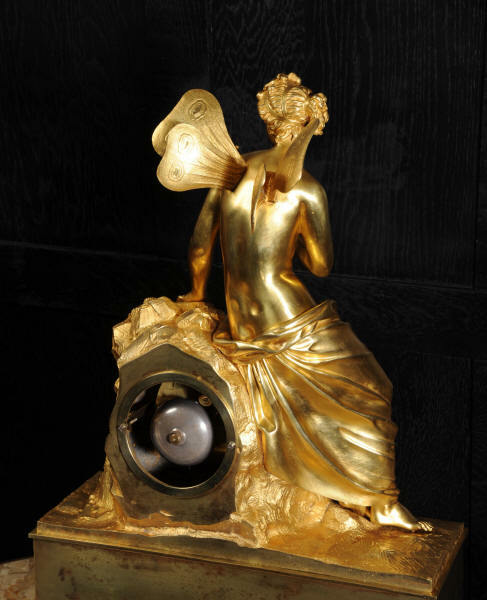 The clock depicts the goddess Psyche with a butterfly gently resting on her shoulder, seated on a rock containing the movement. 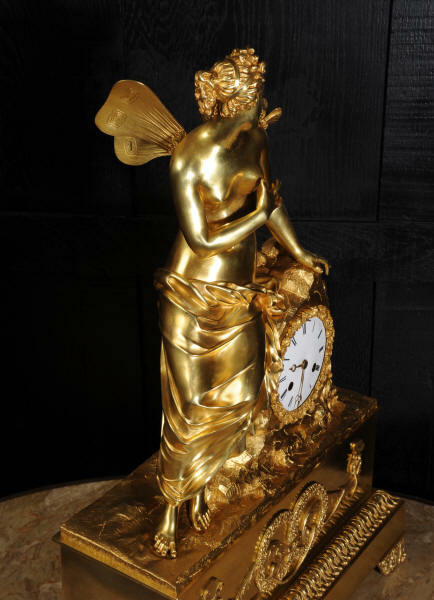 She is often depicted with a butterfly as a symbol of rebirth or awaking. 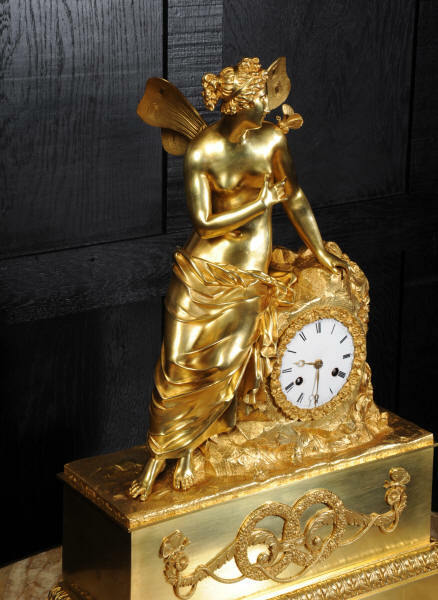 She is beautifully modelled and very finely finished and gilded. 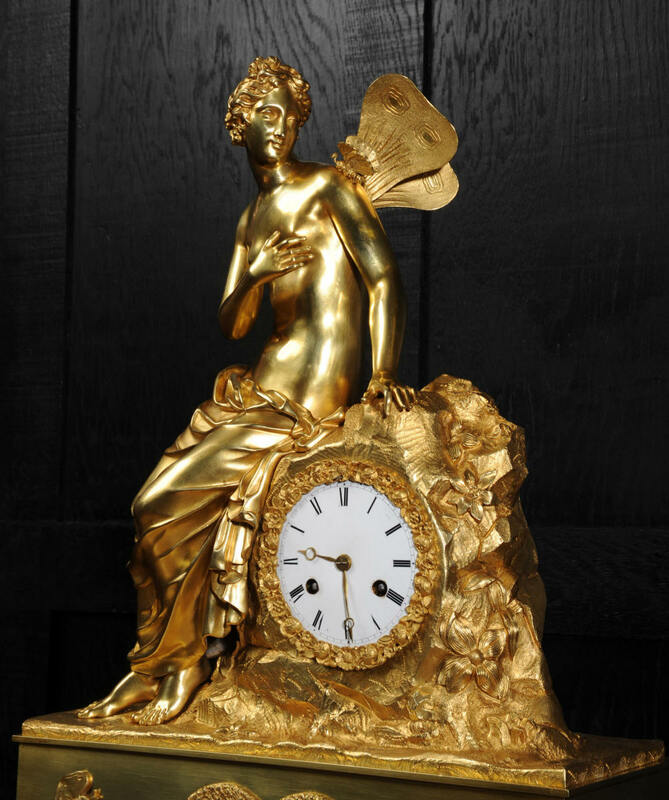 The enamel on copper with gilt brass breguet hands. 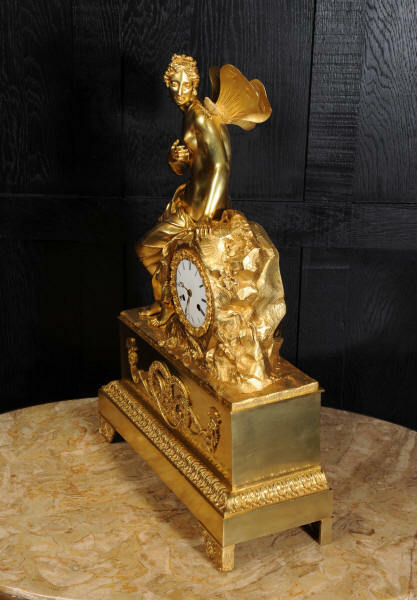 Please note this style of clock does not have a glass bezel or rear door. The early French movement is of high quality and is in excellent clean and running condition having been fully overhauled by our clockmaker. 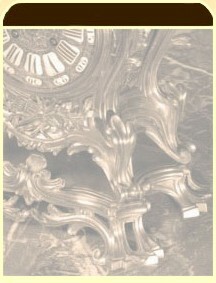 It an early French movement with silk suspension. 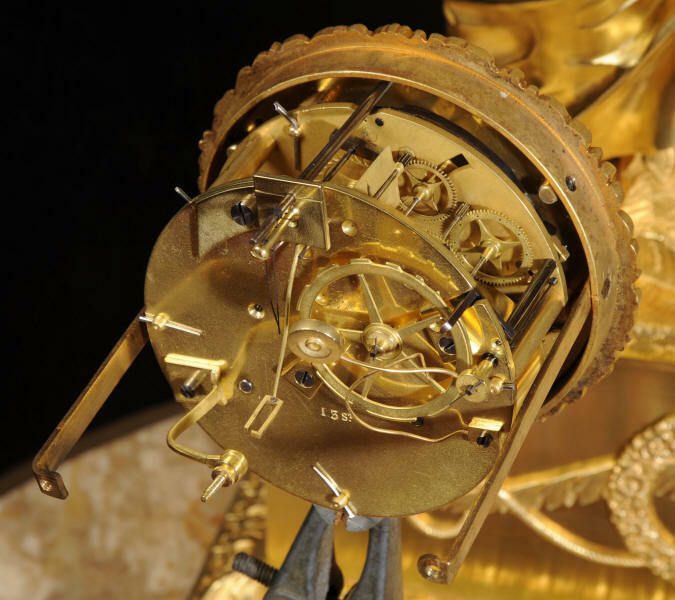 Pendulum is a replacement. 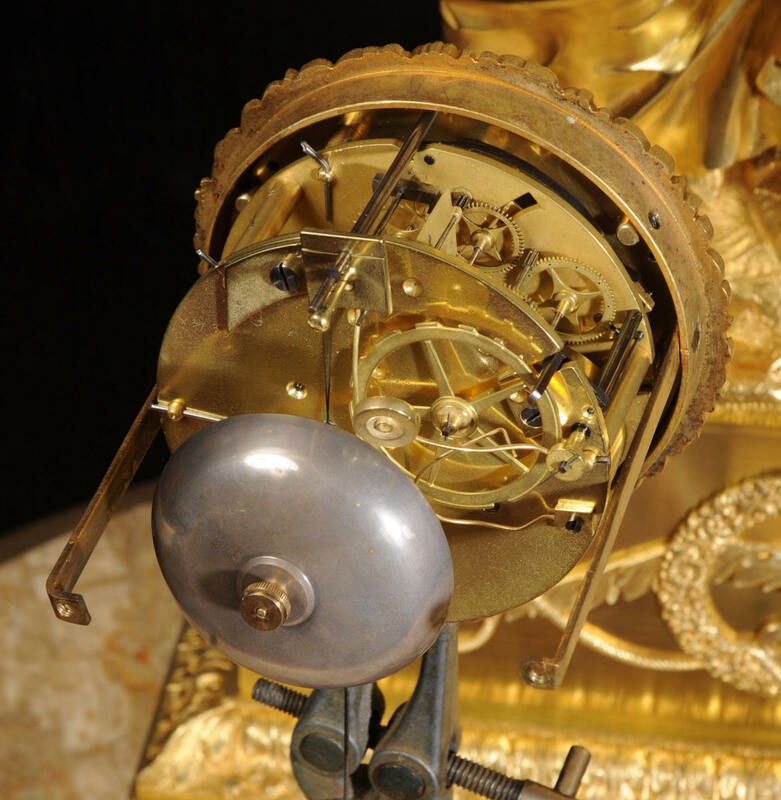 It runs for 8 days and strikes the hours and halves on a bell. 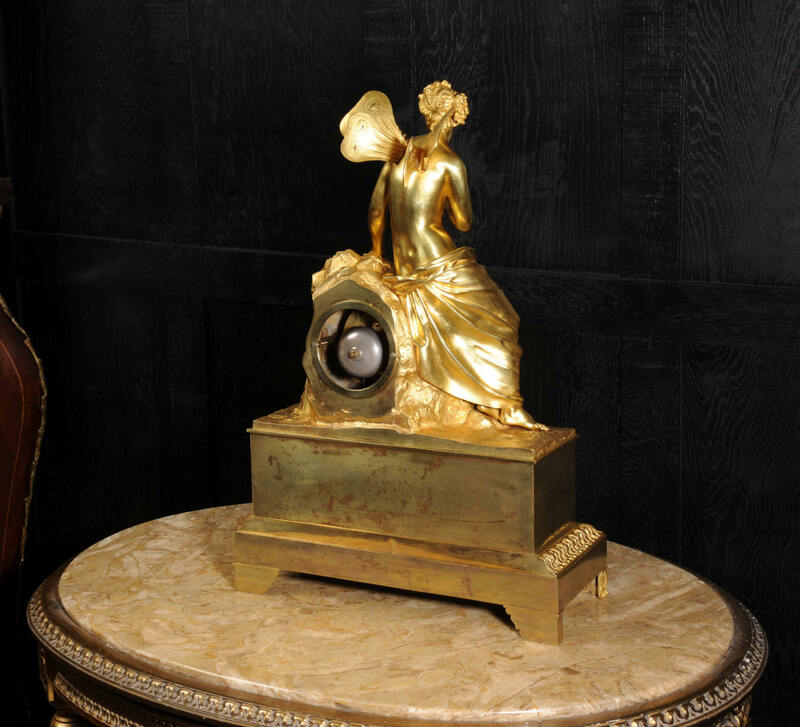 Click the video clip below to hear the bell and watch the clock running! Condition of the case is excellent, the original gilding is beautifully clean and bright with some wear, mostly to the sides and rear of the case as these areas were not as heavily gilded as the front originally. The dial is in very good condition with just some slight marks and slight chips around the winding holes and on the edge near the 9 o'clock. 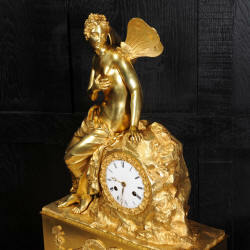 This is a stunning clock, almost 200 years old, in fine condition. 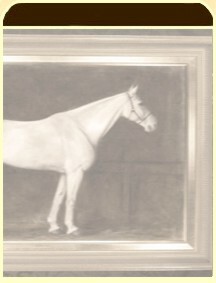 Height 22", Width 15 1/4", Depth 6"